Cécile Alduy is Professor of French Studies at Stanford University and a research fellow at the CEVIPOF in Paris. She is the author of Ce qu’ils disent vraiment. Les politiques pris aux mots (“What They Really Mean: Politicians In Their Words,” Seuil 2017) and Marine Le Pen prise aux mots. Décryptage du nouveau discours frontiste (“Marine Le Pen Taken to Her Words: Deciphering the New National Front’s Discourse,” Seuil 2015). 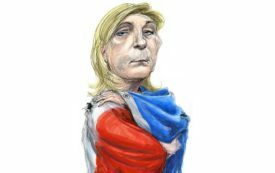 Marine Le Pen is running on resentment, but is it enough to win her the French presidency? For the first time in recorded history, the ultra-right-wing National Front came first in a national election. 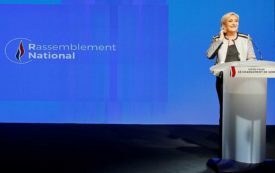 Marine Le Pen’s party has emerged as a formidable political force not just nationally, but locally. 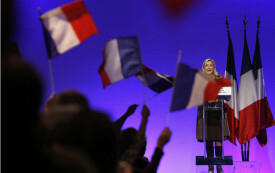 Has Marine Le Pen Already Won the Battle for the Soul of France? The National Front leader has cleverly rebranded her father’s party, cloaking its far-right agenda with liberal rhetoric.